This was my first attempt at Challah bread and it was a success. This bread dough was fun to work with, multiple rises and shaping techniques. My braiding needs some work but I was happy with the outcome. It’s an eggy bread with yolks inside and the whites brushed on top for that glossy finish. It makes amazing toast in the morning for breakfast, even better as French Toast! I have baked almost half of this book and honestly, I have rarely been disappointed. I love how accurate the measurements are but a kitchen scale is a definite must! 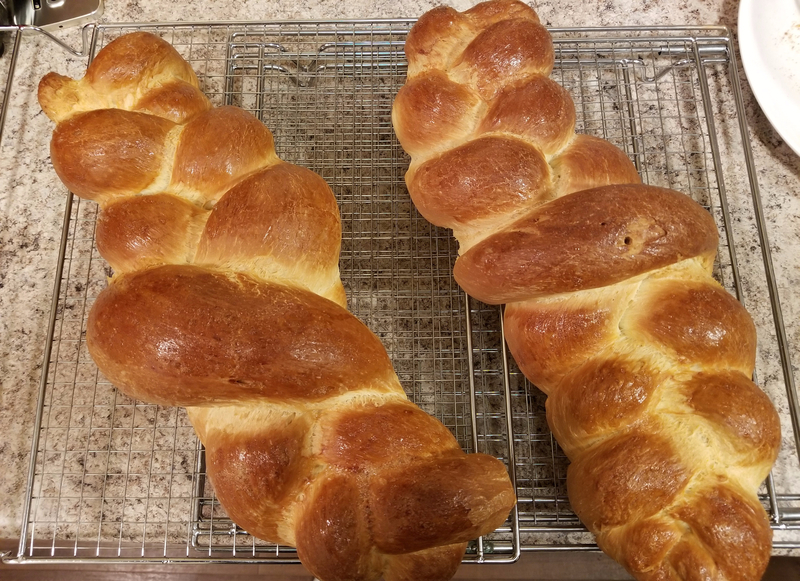 Enjoy baking away some beautiful challah loaves my Simmerlings! Previous Simple Balsamic Vinaigrette ! Next Fantastic Indian food in Langford!